With the passing of Billy Graham overnight there is much to thank God for in terms of his ministry and impact, not only within Christianity in the twentieth century but the world at large. Billy had an impact in over 180 countries and is said to have a major influence in seeing over 200 million people come to know Jesus for themselves. He is quite possibly the greatest evangelist ever, in the same ilk as Whitefield, Wesley, and Spurgeon. During the 1950s and 60s my grandfather, Gordon Coombs, was the pastor of Opawa Baptist Church in Christchurch, New Zealand. A few months ago, I had a brief conversation about what pastoral ministry was like in those days, trying to mine as much gold as possible. Part of that conversation, I remembered this morning, was about the 1959 Billy Graham crusade in Christchurch. In light of Billy’s passing I thought I’d give him a call and see whether he would be willing to reflect a little more about that time. Here are some of those memories and reflections. The 1959 crusade was held just down the road from Opawa Baptist Church (OBC), at Lancaster Park. Literally, they are on the same street. Being the pastor of the most local church to the stadium there was clearly going to be some involvement. As Gordon remembers there were three main areas he was involved in. The first was to be on the organising committee for the eight-day long crusade. This involved preparation meetings and co-ordination with other churches in the city to stage such a large event. The second main task he had, with the help or many other volunteers from other churches, was to be the host church for the follow-up of the crusade. This involved the use of OBC’s large hall where all the response cards would be collected, sorted, and distributed to the various churches across the city. 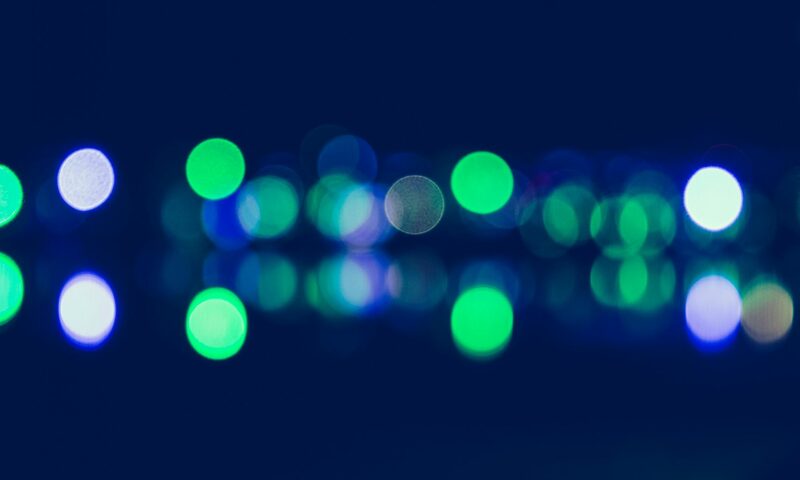 After each night meeting, and once the counselling had been completed, this follow-up process would begin in the OBC hall and involve many volunteers late into the night and early morning. And it was these 40 new conversions that increased the size of the congregation by a third. For the churches there were new people joining congregations all over the city. There was an increased vigour in evangelism and almost a mini-revival. “Some of the older people thankfully got their noses out of joint because they couldn’t sit in their same seat at church anymore, but there were some marvellous people who joined OBC in those days through the influence of the crusade”. And it wasn’t only the churches that felt the impact. It seems that a by-product of this crusade, particularly in the community, was a freedom to speak about Christianity; “for a short period of time Billy Graham and his crusades were on everyone’s lips”. And this allowed for people to speak freely to their friends and neighbours about the Christian faith. Being on the committee Gordon did get to meet the man himself, meeting him as he arrived at the airport in Christchurch. Apparently, his eldest son (not even five at the time) was keen to go and meet him too but had a serious fever at the time. This meant he could only go as far as the airport window and look out in envy. But what Gordon does remember of him and his ministry was that of a humble man, committed to preaching the biblical gospel to everyone he could. If nothing else, I had a great conversation with my grandfather and was again reminded of how God continues to be at work in times and places and with people we will never know. Below are a couple of photos from the time of the crusade, various people meeting Mr and Mrs Graham. When finishing up in any youth ministry role, paid or volunteer, I’ve always been struck by the privilege it’s been to have such a position. There’s something ironic about finishing up in a role and then being overwhelmed with the sense of satisfaction and privilege for being in it in the first place. While doing the tasks and duties associated with the position we are often unaware of the the privileges. We feel the grind and experience the drag, but hindsight, as they say, is a wonderful thing. I distinctly remember the feeling of concluding our time in Lebanon. The relationships built, the friendships formed. I remember saying goodbye and realising that it is unlikely I will ever see these people again. It was simply a privilege to meet them and be involved in their lives. I remember how it felt leaving Canterbury Baptist. We’d been there nearly 10 years and I had made a contribution as a volunteer leader right through to being on staff. There was, and still is, joy, satisfaction, and a large spoonful of pride in what had been accomplished. And of course, there were challenges along the way. Some unbelievably hard. But the privilege of being in such a position is what I remember most. When in the middle of it all it is easy to get bogged down in the day-to-day, week-to-week tasks that need to be done. The challenges are at the forefront of the mind, not the privileges. But with intentionality I believe fostering a sense of privilege during your time in youth ministry is vital for self-care, sustainability, and perspective. The realisation of such a privileged position doesn’t have to happen once it’s all gone. I have small children. And for nearly five years now I am often told by older and wiser parents, “It goes so fast, make sure you treasure every moment”. In the midst of parenting small children hearing the ‘treasure every moment’ thing can get on your nerves. But what these kindhearted people are saying is true. It goes fast, and there are numerous moments to treasure. The same could be said for youth ministry. Youth ministry is a privilege. When you’re in it no one is telling you how much of a privilege it is. Conversations with other youth ministry practitioners usually centre around the challenges and the problems. But let me tell you that youth ministry is a privilege, you should treasure every moment (OK, almost every moment). This is the final part in the ‘11 Things’ series. It’s been a journey, and we’ve touched on a number of subjects. Each post has explored an aspect of youth ministry that I wish I had known more of before entering this gig. I’ve mused on these topics, and gained clarity for myself, as I’ve thought through what would have been helpful to me over 15 years ago. 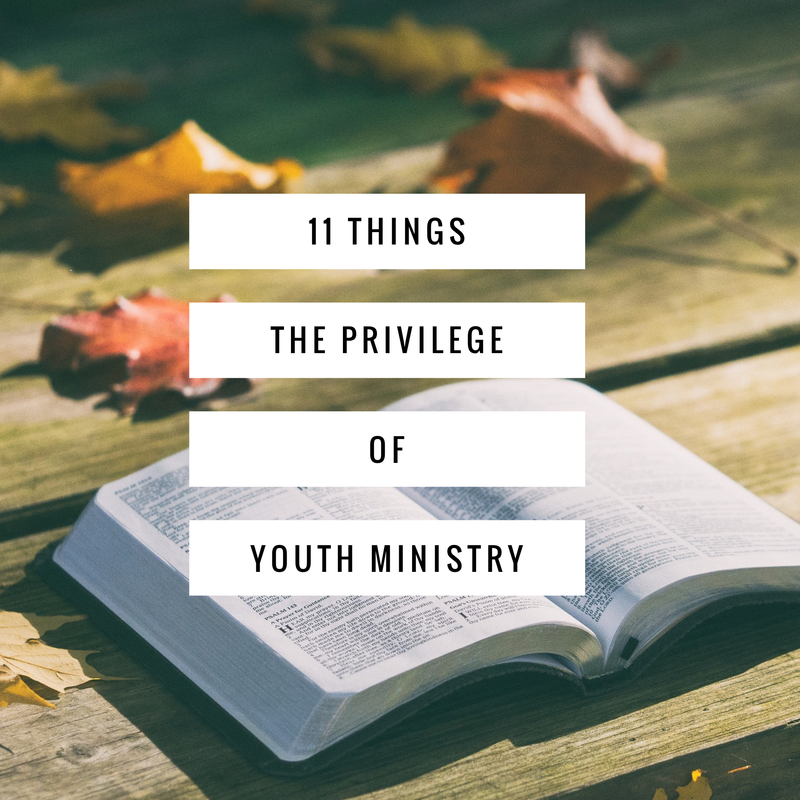 To finish this series, and capture the essence of what youth ministry is about, I think it is important to be reminded of the privilege it is to be in such a role. With that said, here are five privileges I believe are important to recognise in youth ministry. A leader is someone who influences others. This can be done with a title, but in most cases this influence occurs through the giving and receiving of trust. In any form of youth ministry role, paid or volunteer, trust is given to you and it is a privilege to receive it. Even more unbelievable is the fact that you have the opportunity to influence people for good. You become a voice in a young person’s life. A voice they respect and seek when making decisions or dealing with challenges in their life. You become someone they look up to, someone they seek to imitate. Furthermore, the influence that those in youth ministry carry helps frame how students think about their faith–how they think about God. Youth ministry research suggests that a young person needs connection with five older adults to help make faith ‘stick’. These days it can be hard for a student to find that many older adults interested in intentionally investing in them. This is where youth ministry leaders are so vital, and where inter-generational ministry is a must. The more people in youth ministry the greater the likelihood of teenagers continuing in faith. Here lies great responsibility and great privilege. Youth ministry isn’t done in a bubble, solely interacting with students. One amazing aspect to youth ministry is the ability to not only be part of a teenagers life but also the life of their family. Connecting with parents, siblings, and the extended family is a privilege. The opportunity to celebrate with families as they pass certain milestones is a unique aspect to a youth ministry role. Whether it is entering high school, getting L-plates and P-plates, turning 18 or 21, graduation ceremonies or celebrating sporting, art, or music successes, the involvement in family life is a special benefit. And then once you hang around long enough you begin to take a more pastoral role with the parents as their kids move out, get engaged and married, and have children themselves. This is a massive one for me. This week alone I could tell you story after story of the significant challenges young people have to face. Everything from the death of a grandparent, to a mental health diagnosis, to the separation of a family member, to the trauma of bullying, to the parent diagnosed with cancer, to the family member involved in a car crash, to the unhealthy home life, to the poor results at school. Young people are dealing with a lot. Sometimes too much. But it is such a privilege to be one of the first people they message when things aren’t going well. To be someone whom they seek out and lean on when challenging times are upon them. To be a person who they trust enough to share their struggles in faith, home, and life. The privilege of being there, of being present, is something that cannot be taken for granted. Each week there are times for the opportunity to open the bible and pray with students. For someone, young or old, willing to sit down for an hour or two and read the bible and pray with you is a phenomenal privilege. They could be doing something else with their time. Instead, they purposefully choose to meet and spend time learning and growing in their faith. The want to make connections between the bible and their lives and pray with others. This should blow our minds. The opportunity to do this keeps you sharp in teaching faith. It makes you think through how to make the scriptures relevant and applicable to teenagers. It brings with it the responsibility to teach the truths of God and allow space for them to explore it themselves. Having this chance to shape how people think about God and his Word in a deep and lifelong way is a privilege that makes me wonder how we actually get to do this. The fact that churches employ people to help grow and lead their young people staggers me. It has become normative in churches for the second staff appointment to be that of a Youth Pastor. For a church to do that is quite a statement. It speaks of their intention to invest and disciple young people. It speaks of the priority they have in students. It speaks of the high regard they have for the ministry to teenagers. Most youth ministry leaders I know would be doing what they do even if they didn’t get paid for it. It’s the passion and heart they have for seeing those in high school come to faith and grow in faith that drives them. This, like anything, can be used and abused. Unfortunately, there are plenty of stories of this happening in churches around Victoria and Australia as we speak. But on the whole, it is a privilege to even have the opportunity to work in this sphere. Having the opportunity to be employed in Christian youth work, to connect and disciple young people, is such a privilege. To see them grow and mature as people and people of faith is something money can’t buy. I’m sure there are many other privileges to add to this as well. Some internal, some external. Perhaps you have more you could add to the list yourself. But if you’re involved in youth ministry in any form, whether it’s officially as a ‘Youth Leader’ or whether you happen to play in the church band with a 17-year-old and speak to them every so often, be reminded that it is a privilege to do so. In all the ministry, in all the challenges, in all the things we do within the sphere of youth work we need to remember that it is a privilege to do what we do. A while ago I wrote a post about what I wished I knew when entering youth ministry. This is part eleven of a series dedicated to elaborating each of those points. You can read part one, part two, part three, part four, part five, part six, part seven, part eight, part nine, and part ten here. Inspirational books can shape and change you. They can stay with you for years and years and influence what you do and the way you live. The other day I was asked on Facebook to list the top 10 books that “have stayed with me” in some form. While that phrase is open to interpretation I listed the following 10 books as having an impact and influence in my life thus far. What books would you list? Are You A Youth Influencer? Everyone is influenced by others. For better or for worse there are influential people in our lives that, well, have an influence on us. I sat around a table with other youth leaders not long ago and as each of us shared our stories it became evident to me that we’d all been influenced by an older person when we were growing up. It was interesting to hear that the main person for each of us was either a youth pastor or a youth leader in our church. As a leader of young people and young adults it can be surprising as to how much influence you can have over others. It’s certainly been the case for me where an older person has been influential – a youth pastor, an older friend, a parent, and a member of the church has influenced my faith and life in general. But, I find that it’s not just the official youth or young adult leaders that have influence on younger people. There are others within a church setting that can influence younger people despite not being an “official” youth leader. The worship leader who interacts with the younger band members. This can occur on Sunday’s but also at practices during the week and other times. Sometimes the worship leader may have more to do with the younger person than the official leader/s. Young adults who hang out with the high-schoolers before and after services. Not all young adults are going to be official youth leaders but they may still go to the same service that many of the youth groupers go to. After the service is a great time to hang out and also go out for supper. During these times other attenders of the church can be influential without even knowing it. An older member in the congregation who has a heart to see young adults grow in their faith may simply strike up conversation at morning tea. Here there is the cross-generational thing happening but also the influence of an older person toward a younger person. There are plenty of other examples to use. Perhaps you can think of some that happen in your church too. But the point is that despite not being called a youth leader or a young adult pastor or a lead generation connector, or whatever title you want to give yourself you may actually be a “youth influencer”. Instead of marking territories in terms of who’s a youth leader and who in the church is responsible for the youth and young adult ministries, perhaps a more wholistic way to look at is that everyone does have there own part to play. Quite often it might be the people you least expect to be influencing the next generation.